AMC Trails Blog: Get Out, Get Dirty and Give Back Near Boston! Get Out, Get Dirty and Give Back Near Boston! 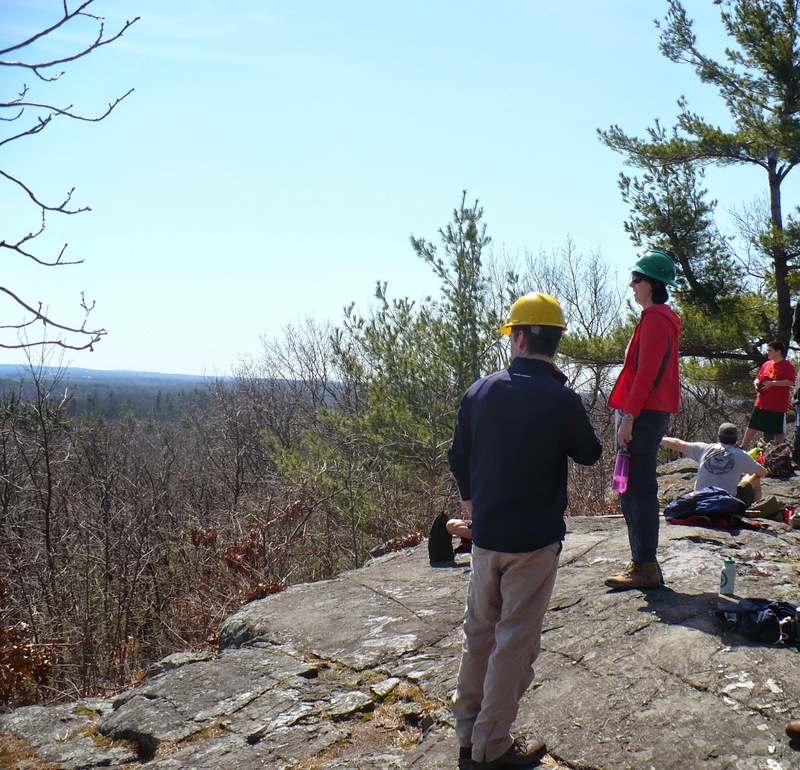 Down in eastern Massachusetts, bright green leaves and splashy flowers are finally bursting out at every turn, but for trails volunteers on the BCT, the spring field season has been in full swing for more than a month! AMC has launched a new series of work parties on the Bay Circuit Trail (BCT), a 230+mile trail that runs from shore to shore through open space in the outer-Boston suburbs. Trail improvement events will take place monthly at locations in need throughout the trail, and volunteers have already been out for the first two projects of the year…In April, 13 volunteers tackled a steep, problematic slope at a scenic viewpoint by adding a rock waterbar, closing off steep, eroded trails, and redefining a new switchback route. Just recently, another May volunteers brushed out a confusing, dense section of trail through young white pine forest, hardened a wet area and picked up trash at a heavily littered road crossing. Next on the calendar is National Trails Day! We’ll celebrate by working on the BCT and other trails in the Bay Circuit Town of Concord. The BCT Saturday Work Parties are great opportunities to learn new skills, meet interesting people who love the outdoors, enjoy a day outdoors and put in a hard day's work in service of this awesome trail resource. Events are great for individuals, small groups, families (with children age 12+)—no experience required, and they are free and open to the general public, with pre-registration. We want to see you out on the Bay Circuit soon!